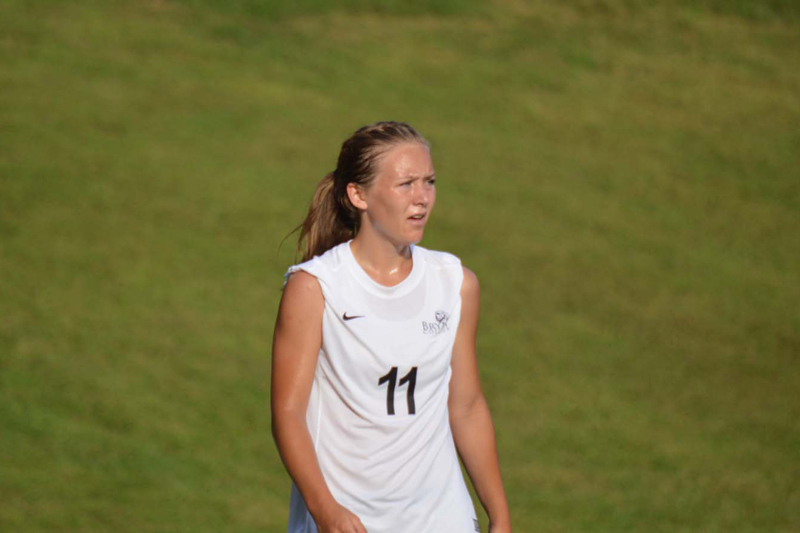 Dayton, TN — Bryan Lady Lions Soccer began their season on a good note on Saturday at home. The Lions played well and kept the pressure on the Toccoa Falls team. They took a 3-1 lead into the break and extended the lead to 5-2 in the second half. Shannon Mollenhauer led Bryan with two goals. Also scoring for Bryan were Elizabeth Cawthorne, Emily Lambert and Sarah Baker. “I was really pleased with the way that we controlled the game. Toccoa has improved a lot over the year and they made us work for all of our goals. The weather conditions didn’t help, but we pushed as hard as we could for as long as we could. This showed me that we have good overall team fitness. We had a few injuries in the match that we have to nurse this week, but nothing major that should keep anyone out of the next match. The Lady Lions will next play at the University of the South on Friday, August 29, 2014 at 7 PM.